On October 3rd, it was announced that actress Miori Takimoto will be the vocalist for the brand new all-female band LAGOON. LAGOON was created under Sony Music Records and has five members in the group. Auditions were held with the motive to “support women in making their dreams come true”. 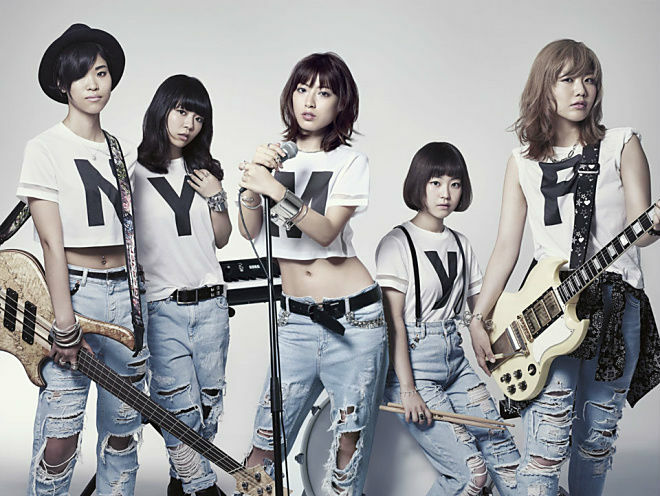 The members are women who want to make music, but also come from different backgrounds. Before their debut, the band is uploading videos called “LAGOON document” weekly on their official YouTube channel. The members are RINO, the guitarist and a mother of one child, NANA, the bassist and a paramedic, yuri, the drummer and a student, and YUKINO, the keyboardist and a cafe employee. In addition to this, Takimoto will be participating under the stage name “MIORI”. LAGOON’s first single, “Kimi no Matsu Sekai” (“The World Waiting For You”) will be released on November 26th. It will also the opening theme song for “Magic Kaito 1412”, an anime series that began its broadcast on October 4th.